After the Browns announced the firing of yet another head coach, Cleveland became the center of the sports world — for all the wrong reasons, once again. 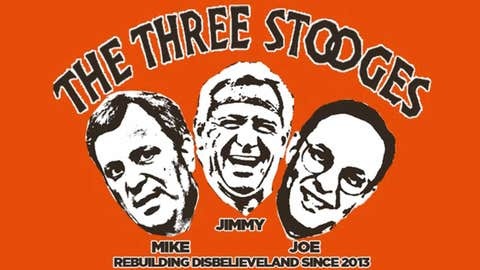 THEY ARE BACK AT IT AGAIN in CLEVELAND…. BUILDING DISBELIEF AMONG THE NATIONS BEST FANS!!! The only problem is, there are knuckleheads in the front office. Anyone else sick of their nyuk, nyuk, nyuk attitudes? We have the talent on the field, but not the brains to show for it… BRING BACK BELIEVELAND!!! The price for a regular t-shirt starts at $17.50.